Investors Chronicle recently (June 2016) published an interesting review of high yield dividend ETFs (Exchange Traded Funds) offered on the London Stock Exchange (there are now, apparently over 30!). I say 'interesting' because there were a few I hadn't heard of. One of the problems for DIY Income Investors interested in income-producing ETFs is that there is no easy source for the ranking of yield of different ETFs - you have to just hunt around. ETFs focusing on shorter timeframes tend to come with higher returns and higher volatility, while those with long time frames reduce risk, but also income. SPDR - Generally SPDR selects companies with over 10 or 20 years of dividend increases, depending on the region, weighted by dividend yield. As a result these are some of the most concentrated portfolios, but they also have a range of caps and checks to ensure the risk is kept low. Wisdomtree looks backwards only over one year. It differs from other providers by weighting index stocks by total cash dividends paid in order to avoid overweighting stocks with falling share prices. Stocks are ranked by dividend yield, with the top 33% from each market making the next stage in selection. 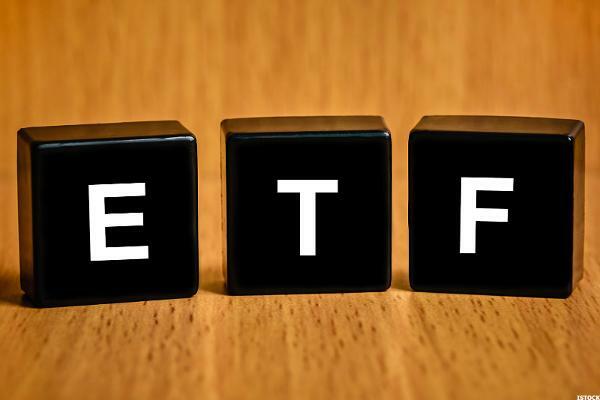 Vanguard offers only one dividend ETF in London - its Global Dividend ETF; they screen for stocks with a higher than average dividend yield, and then rank them by forecast dividend yield until the cumulative market capitalisation reaches 50% of the total universe of stocks. So, as you can see, there is a fair amount of choice on the London market alone. I tend to select only those yielding over 4%, although - as the article points out - that might involve greater risks. Exactly! I use them for the family SIPPs, so there is less admin required. I never quite understand how dividends are treated on ETFs that don't pay any, so an ETF on FTSE 100 that does not pay any dividend, what does it do with dividend received. I am guessing they just re-invest like accumulation funds, but do they give tax receipt etc. to holders !? I'm an Investor - Get Me Out Of Here!